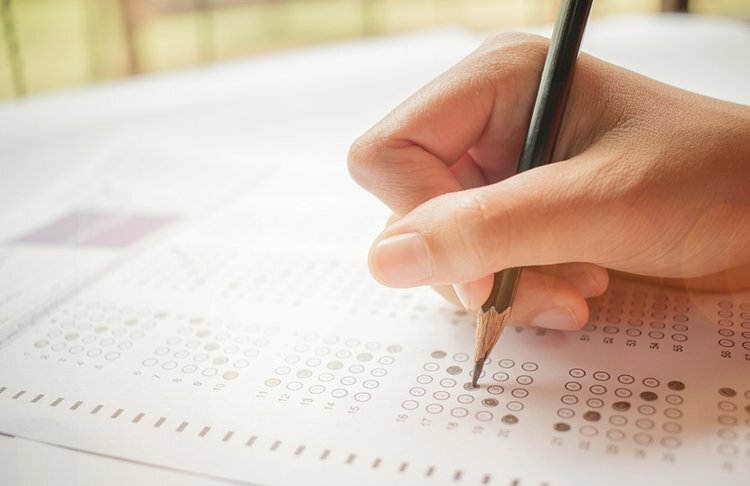 Although a proposed standard regarding the use of entrance exams in addition to the LSAT was tabled at the ABA House of Delegates assembly Monday, the council of the Section of Legal Education and Admissions to the Bar says that the alternate tests can still be used, providing schools can demonstrate that the tests are valid and reliable. “If a law school permits an applicant to submit a test score other than the LSAT, then, under Interpretation 503-1, the school has the burden, if and when asked, to demonstrate that the score is on a test that is a ‘valid and reliable’ and that will assist the school in assessing whether an applicant appears capable of satisfactorily completing its program of legal education and being admitted to the bar,” Barry Currier, the ABA’s managing director of accreditation and legal education, said in a statement. The proposed revision called for cutting Standard 503, which requires an exam for law school admission, and beefing up Standard 501, to include the use of admission credentials and academic attrition for compliance determinations. It was withdrawn from the assembly after House members expressed concerns to section leadership, U.S. District Judge Solomon Oliver Jr., a legal education council member, told the House on Monday. Law school deans expect that fewer schools than anticipated will now be accepting other entrance exams besides the LSAT. And while it seems clear that those schools planning to do so must submit validity studies to the section, how school-specific those studies must be seems unclear to some. Marc Miller, dean of the University of Arizona College of Law, told the ABA Journal that his law school submitted a validity study to the section in 2016. He doesn’t have the impression that the section has arranged a peer review for the study, which was done by Educational Testing Services, the company that designs and administers the GRE. “My understanding is that the [section’s] council has taken the position that you don’t know if the test is valid or reliable until you see how people do. They don’t plan to hire any experts to assess these things, so long as they believe that the work was done with credible methodology and good faith, but [the section] reserves the right to make a judgment,” says Miller, who anticipates that more than 10 percent of his fall 2018 entering class submitted GRE scores for admissions. William Treanor, the dean of Georgetown University Law Center, also told the ABA Journal that his school has submitted to the section a validity study regarding the GRE, and they are accepting the exam in admissions. “We submitted our study about a year ago. I don’t know what their process is for reviewing it. I don’t know that we’ve heard an answer definitively from them,” Treanor says. The study looked at first-year Georgetown Law students between 2005 and 2016, he adds, and it found that the GRE was a slightly better predictor of how they performed than the LSAT. Harvard Law School has also submitted a validity study to the ABA, and it plans to continue accepting the GRE in the 2018-2019 admissions cycle, Jessica Soban, the law school’s associate dean for strategic initiatives and admissions, said in a statement. The GRE test designer and administer ETS has also conducted a national validity study, according to David Payne, its vice president and chief operating officer of global education. “Schools can still use that information as part of their evaluation regarding whether the GRE test is a reliable and valid tool for their use. ETS is happy to speak with those interested in learning more about the available data, and we will continue to stand behind our mission to help advance access, quality and equity in education,” he said in a statement released Tuesday. Miller has the impression that to be in compliance with the ABA’s law school accreditation standards, the validity studies for alternate entrance exams must be school-specific. “If you want to do this under the rules, you’ve got to do the homework. It can be done a number of ways, but it has to be institution-specific,” he said, adding that a validity study could cost between $15,000 and $20,000. “It’s not a trivial exercise. It isn’t impossibly difficult, and it doesn’t take years, but if you take it seriously you’re talking about months,” Miller said. Conversely, Treanor says that it’s unclear whether the validity studies must be school-specific. “One of the questions that law schools have to struggle with now is what kind of studies will satisfy ABA standards,” he says, adding that Georgetown has many students, and it wasn’t hard to find a significant number who had taken the LSAT and the GRE. “We had a data pool that was valuable, and at this point it’s not clear if other schools can rely on our survey, or do they have to use some other analytical approach,” Treanor says. In regards to what will happen next, in his statement, Currier said that the council will review concerns expressed about proposed changes to the admissions test standard and determine how to proceed. Under ABA rules, standards revisions go to the House of Delegates. The House can send a proposed rule back to the council twice for review with or without recommendations, but the council has the final decision on matters related to law school accreditation.